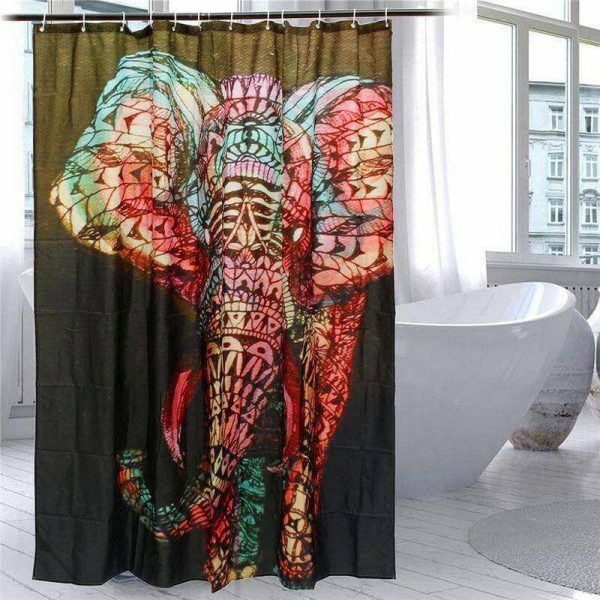 Our Colorful Elephant Shower Curtain is 100% Environmentally friendly, that is screen-printed by hand in Jaipur, India. 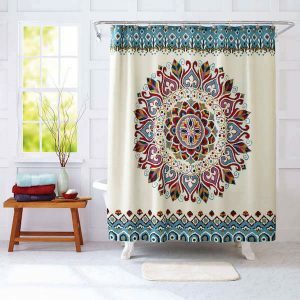 Featuring a majestic mandala elephant, a sign of strength and unyielding resoluteness, this mandala shower curtain liner adds an exotic, regal touch to your bath time. 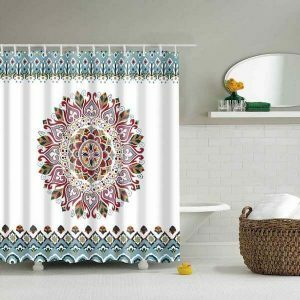 The rustic design and the colors give your Bathroom Decor an ethnic feeling and relaxing vibrations. 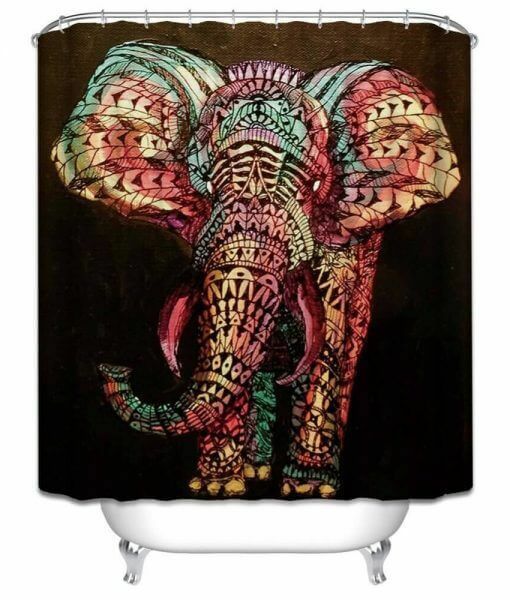 This combination of contracted pattern ethnic elephant design and nova colors is a great background for a bath. 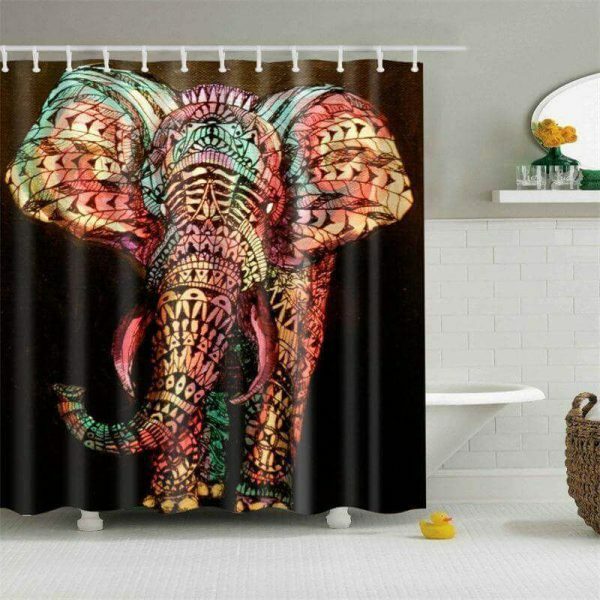 This shower curtain can match various bathroom decorate, especially standard bathtubs. Perfect Mandala Elephant Shower Curtain to any person who loves elephant vibrations. NOT SOLD IN STORES! 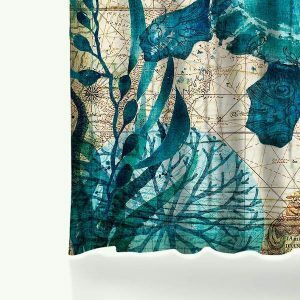 – ADD TO CART NOW! 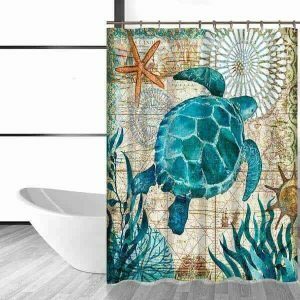 Easy to clean, Waterproof, Smooth and soft, Mildew Proof. 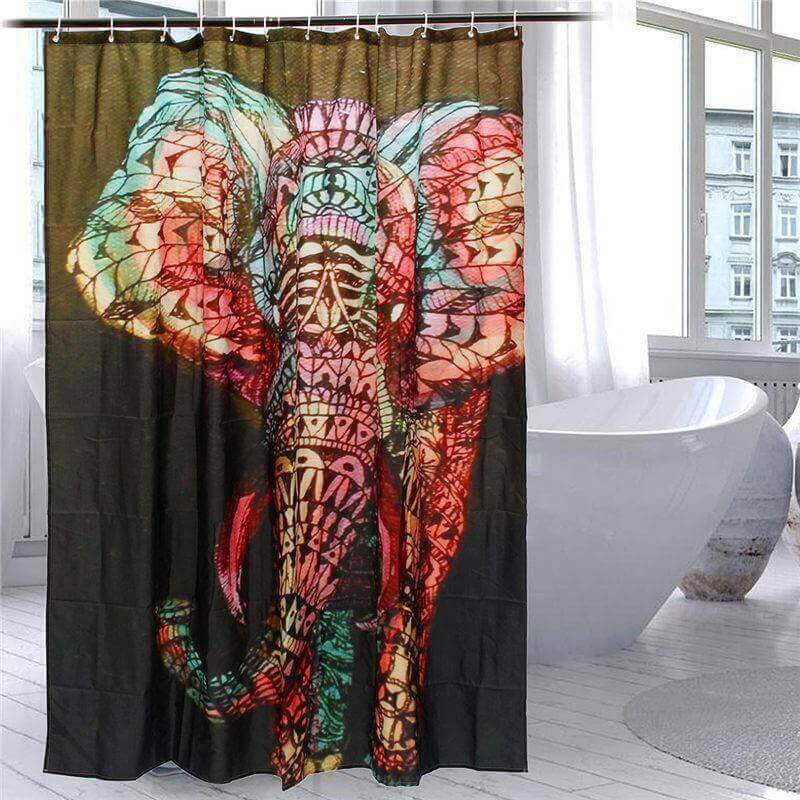 Love it So colorful!! Great material, well made!